There are numerous out of the shelf solutions for remote rocket firing however I found that they are either too expensive or lack some futures that I prefer they had, so I decided to make my own. 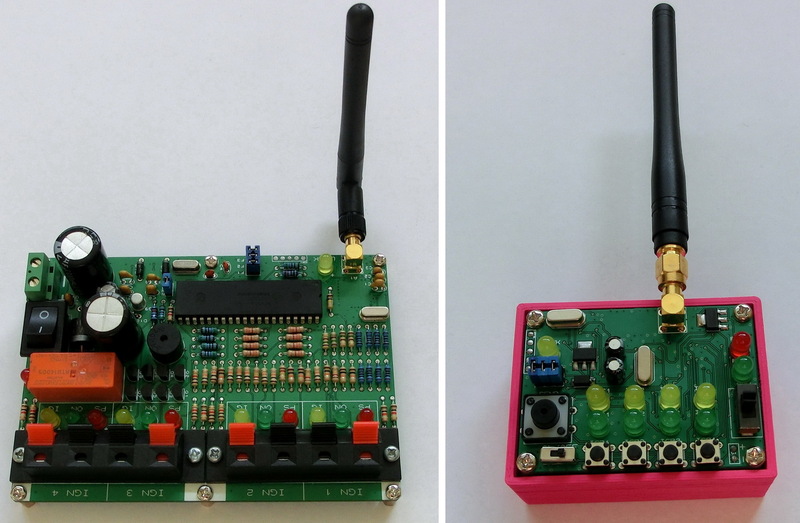 This device is based on the Microchip’s MRF49XA chip and works in the 432-437 MHz band using FSK modulation and additional protocol encryption for higher noise immunity. Also I added some additional circuitry for improved safety. The REMOTE CONTROLLED ROCKET LAUNCH FIRING SYSTEM consists of two parts – a Base Station (BS) and Remote Control (RC). There is a two-way communication protocol between both where the RC acts as a Master and the BS acts as Slave. That’s to say the RC constantly sends either “ping” or “command” packets and the BS responds with a “status” packet. Each command packet can switch on or switch off the main relay to supply power to the ignition circuit. It can also turn on or turn off any of the power MOSFETs thus allowing current to flow through the igniter and launching the rocket. Each status packet gives feedback whether there is power to ignition circuit (the relay functions correctly), whether the igniter is properly connected and working (igniter integrity) and which power MOSFETs are turned on and off. b) ON LED – This LED will stay solid on when the power MOSFET is switched on and thus through the igniter will (or can) flow large current – hence the ignition is on. c) PS LED – This diode is solid on when there is current present on the power circuit I.e. when the relay is switched on and works properly. 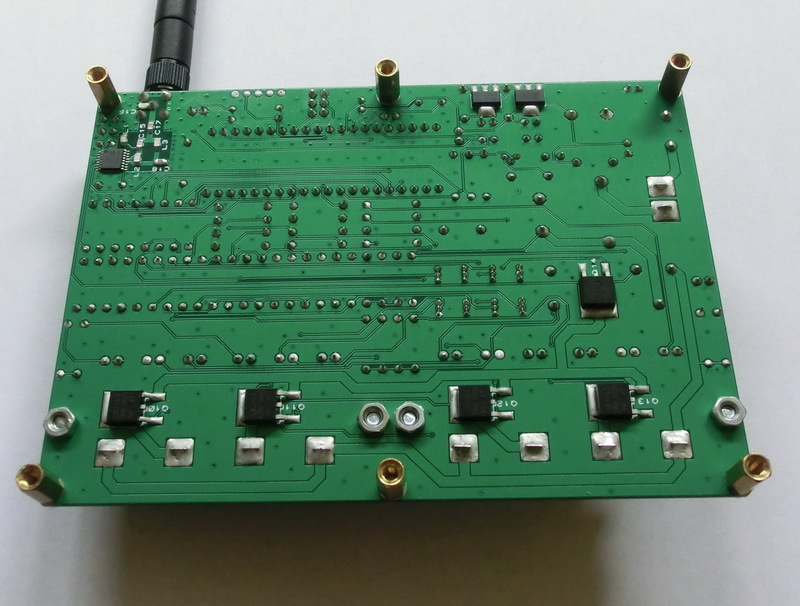 *I have a lot of old parts and decided to use them for the base station – that’s why the old classic chunky looks but it can be made a lot smaller using standard SMD components. For safety reasons there are three separate circuits that have to be switched on in order current to flow through the igniter. 1. RELAY – first this relays has to be switched on (normal position is switched off) in order to supply current to the power circuitry – if it is not, then there is no power going to the igniters. 2. 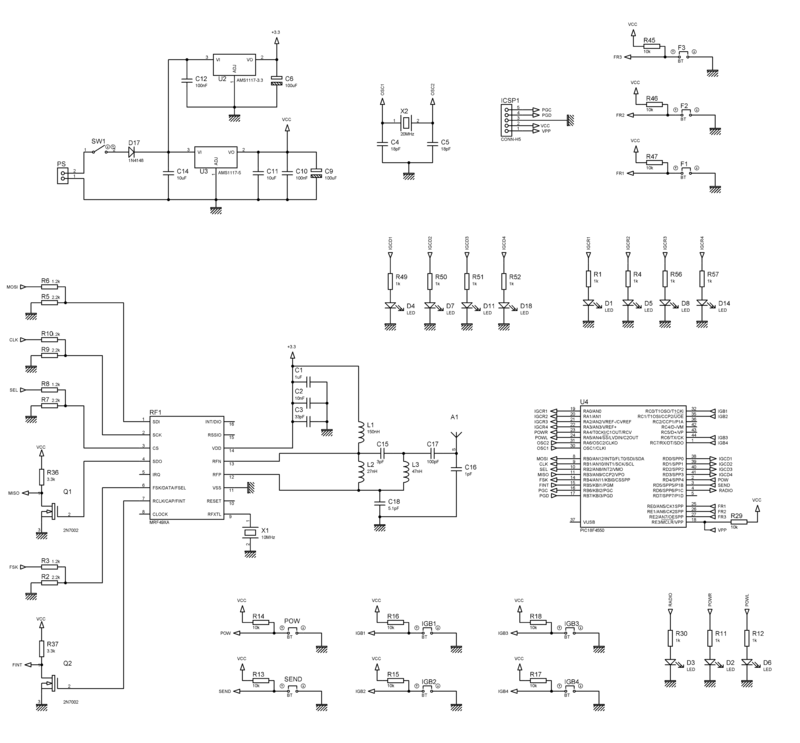 Power MOSFETs – for current to flow through the igniters, these MOSFETs have to be switched on but this is possible only if the relay has been switched before that. These transistors and the relay cannot be switched in the same time. 3. Ground MOSFET – this is an additional power transistor through which all four power MOSFETs are connected to ground. 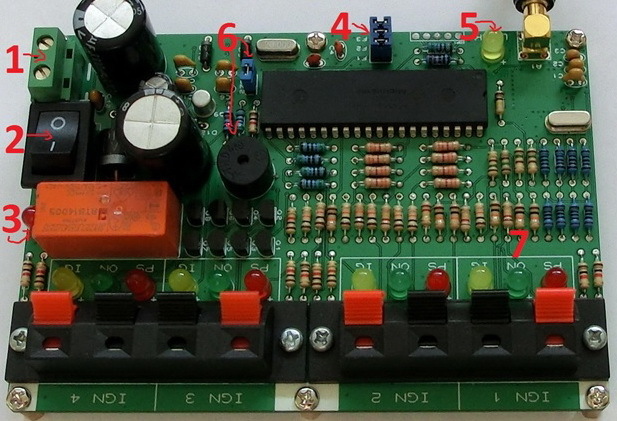 This is an additional precaution in case that any of the four MOSFETs has a malfunction then no current will flow through the igniter unless this transistor is also switched on. For additional safety there are protocol and procedure rules implemented in the firmware. 1. 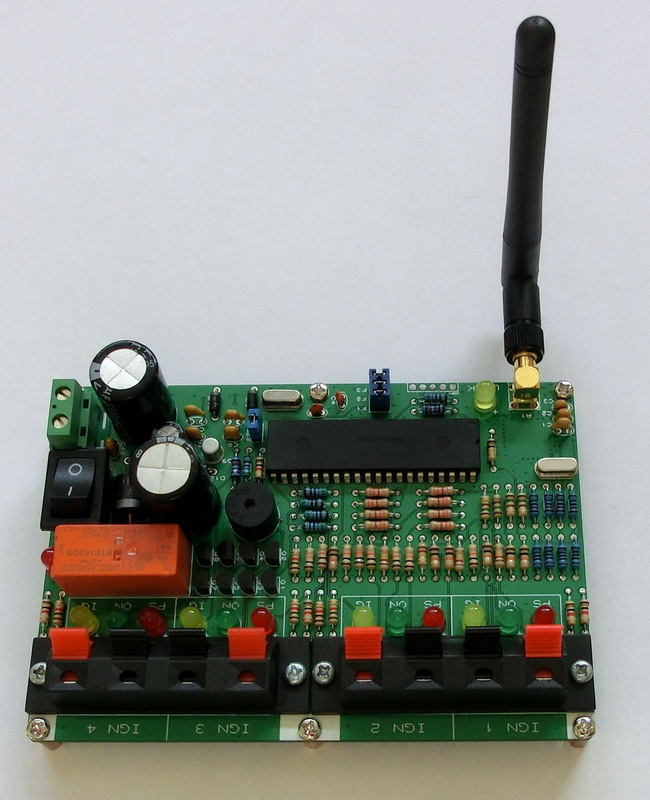 If the RF link between the RC and the BS is lost, then the relay and the power circuits are automatically switched off. 2. 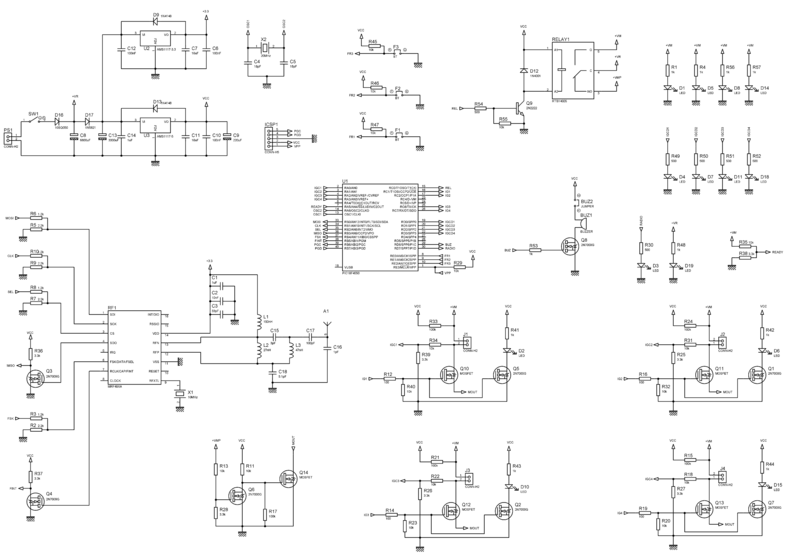 If the relay is switched off, then all power MOSFETs are automatically switched off. 3. 4 seconds delay between the moment when a command to switch on given channel(s) is received and the actual moment when the command is given. 4. 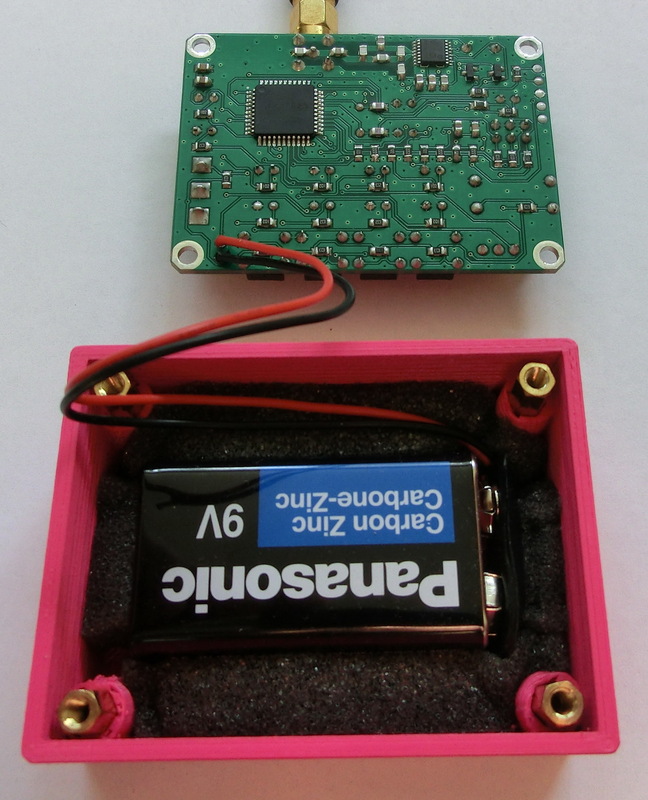 If the relay is switched on, the buzzer will give short beeps. 5. 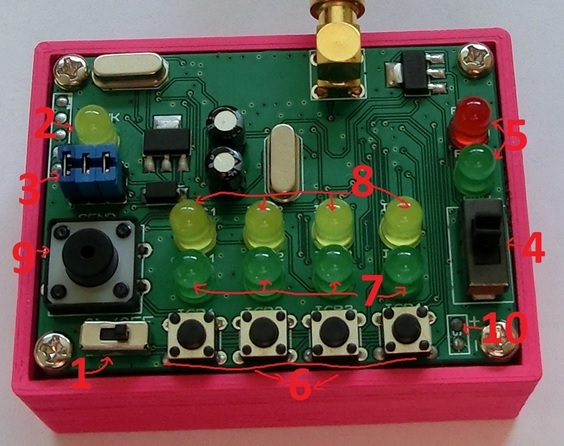 If a power channel is to be or is switched on, the buzzer will give a continuous beep. 6. After a given power channel has been enabled, it will automatically switch off after 4 seconds. 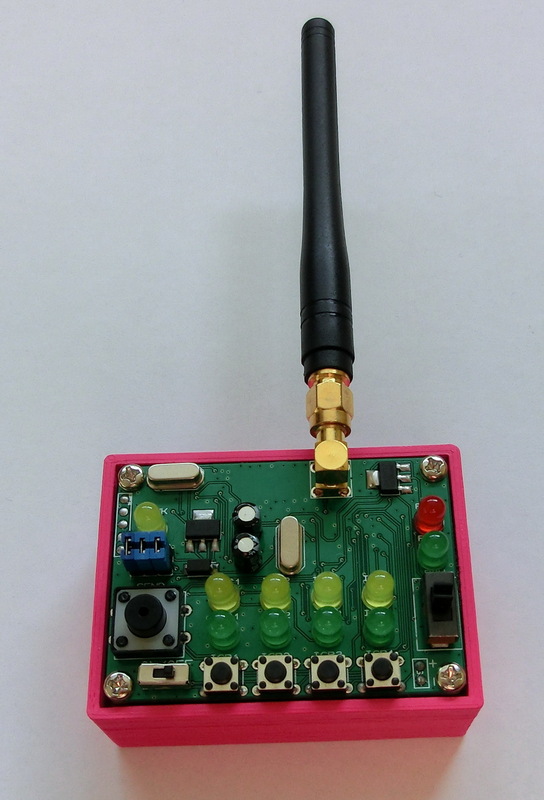 The RF protocol is software implemented and the main purpose is to give additional noise immunity to the FSK modulation and to prevent random noise to be executed as a command, as well as to slightly increase the communication range. There is a two-way communication protocol between both where the RC acts as Master and the BS acts as Slave. That’s to say the RC constantly sends either “ping” or “command” packets and the BS responds with a “status” packet. Packets are sent from the Master each 250ms – thus the update rate is 4 per second. 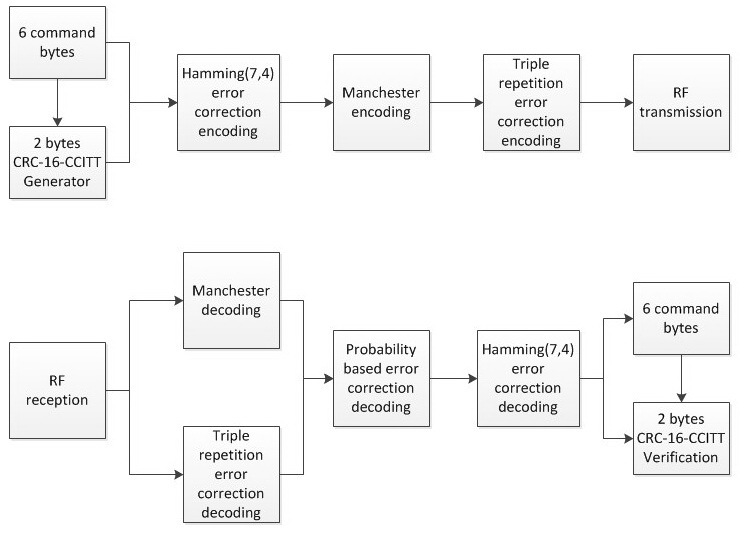 -From the Triple repetition encoding and the Manchester encoding, each bit in the six bytes is corrected and extracted based on “soft” probability based method. By using this protocol I wouldn’t say that it is impossible for random noise to be considered as a false command but the probability for that is very low.